Cameron deeply understands client problems and has a pragmatic and holistic approach to problem solving. He combines quantitative research, clear communication, and insightful thinking to pull ideas together and deliver value. Cameron has worked across a diverse range of industries for private and public clients; including across the education, financial, justice and health sectors. Cameron’s educational background is in management, marketing, and engineering. Supported a university’s co-design workshop to develop strategic initiatives and improve change management processes. Cameron has previously worked in the education, retail, and resources industries. He holds a Bachelor of Commerce from The University of Melbourne, partially completed at Sweden’s Lund University. 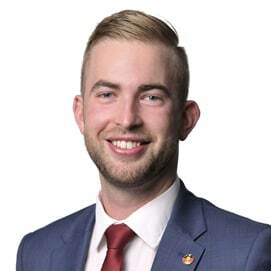 Cameron was a councillor in the University of Melbourne Student Union Council; the president of Murrup Barak’s Student Advisory Council; and founded the Indigenous Business Student Network, where he is the inaugural chair. Cameron enjoys traveling, spending time in nature, swimming at the beach, and going scuba diving. He also enjoys watching the Melbourne Storm rugby team dominate the National Rugby League (NRL).